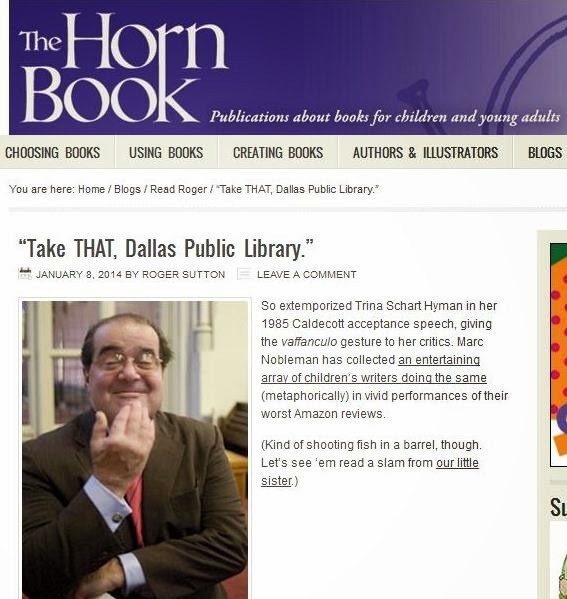 Noblemania: Kidlit authors reading bad reviews in "Horn Book"
What happens when more than 50 authors of books for young readers conduct a bad review slam? This. Thank you for the plug, Roger! Love the spin you put on it.